SHARE THIS EXTENSION WITH OTHERS! Have clients sign Legally Binding Contracts on your site! The need to “get it in writing” is more important that ever. Currently the online contract signing space is dominated by only a few big players who charge big bucks so you can cover your a**. We at Groundhogg don’t want you to have to spend big dollars to collect big wins, so we built our own simple and easy to use contract management system within WordPress. It will allow you to send contracts and have your clients sign them digitally. Signed contracts will be available to print and download and will be linked to the contact’s record. Contracts will also be able to launch automation with the “Contract Signed benchmark” in the funnel builder. Why Use Our Contract’s Add On? It’s built into WordPress, eliminating the need for secondary login information. It’s inexpensive compared to the other digital signing platforms like Docusign. It’s billed Yearly instead of monthly & comes with a 30 day money back guarantee. Gives contacts the chance to download and print their own version of the contract. Adds additional benchmarks to the Funnel Builder allowing you to kick off automation. Create contracts in few minutes to end to your clients. 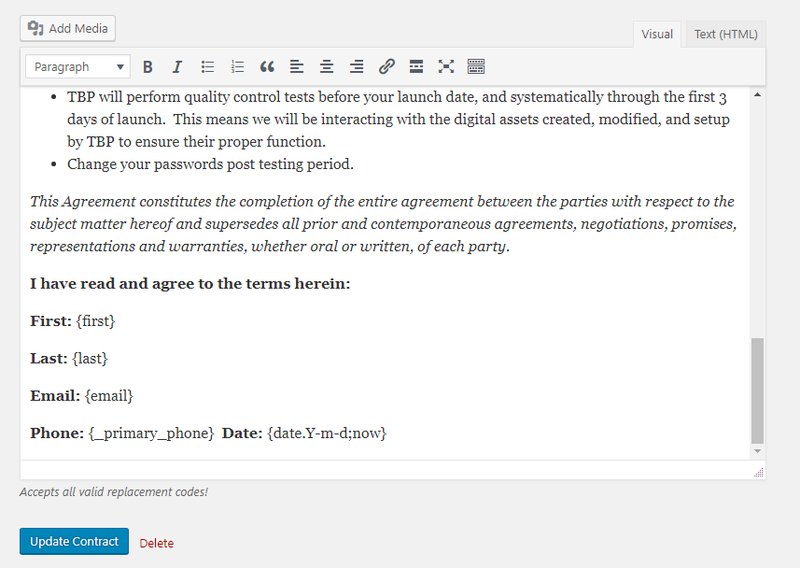 Write full contracts in your WP Admin! 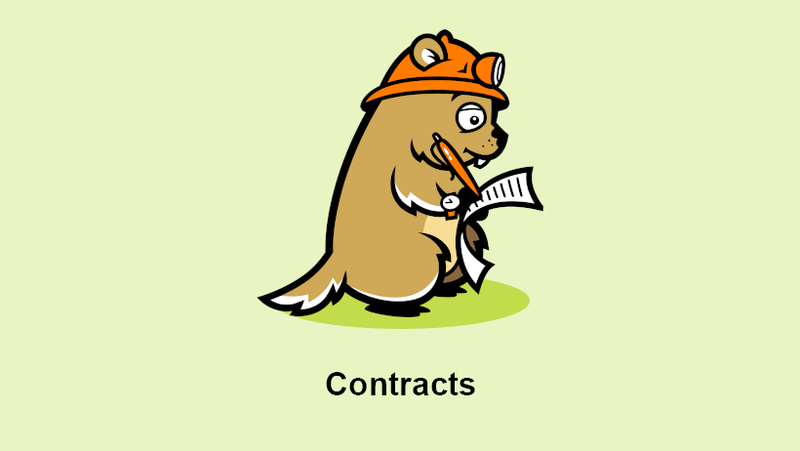 All contracts can include ANY built-in Groundhogg replacement codes so that it looks like you wrote it yourself. Clients can sign your contracts on any device. our mobile responsive signing form can be used to to easily collect digital signatures from a touch pen, mouse or finger. Store Contracts For Later Use. Find contracts right within the contact record view. View, print or delete easily in seconds. After a contact signs they will be given the option to print their contract to a printer or PDF. Can clients revisit their contracts? Contacts cannot sign the same contract twice. Once a contract is signed it will have to be deleted before the contact may sign again. Thus, if they visit the signing page again, it will show them the signed version of the contract with the print button. Are these contracts legally binding? Yes they are. Any digitally signed contract is binding as long as it includes an appropriate signature. HOWEVER, A contract is really only as good as the lawyer you’re willing to pay to uphold it. So please consider that when using this tool. We are so sure you’ll be happy with your purchase that we offer a “30-Day Money-Back Guarantee” to ensure customer satisfaction of our premium plugins. If for any reason you wish to discontinue, we will promptly issue a refund for your initial payment. Simply contact us to speak to a customer care specialist about our 30-Day Money-Back Guarantee & Refund policy. Get Unrestricted Access To Extensions, Templates, Support and more with the All Access Pass! 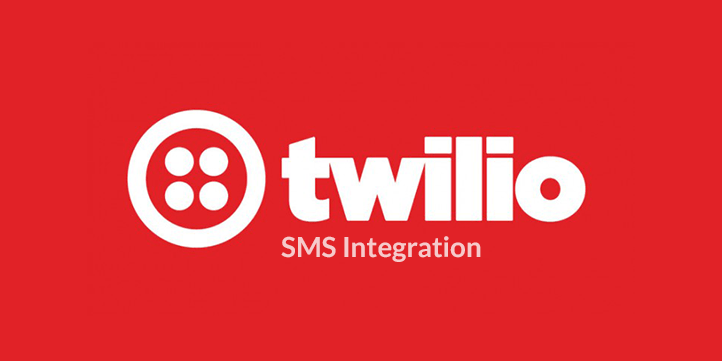 Send your SMS in Groundhogg through your Twilio account. 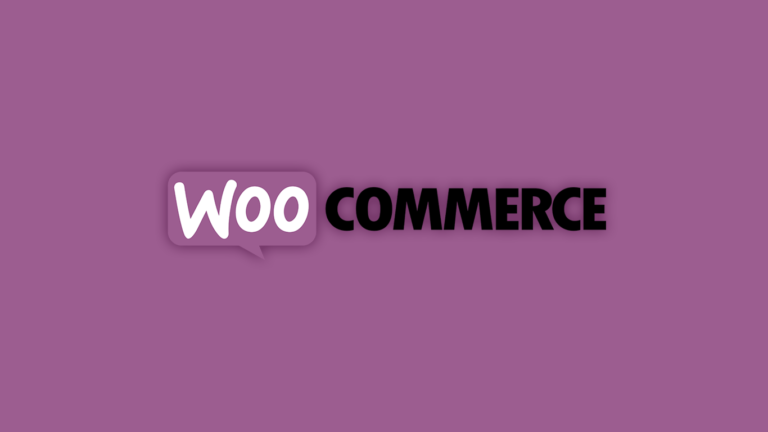 Use purchasing site interactions within Woocommerce to create the ultimate sales expeirence and drive more sales and decrease abandoned carts. 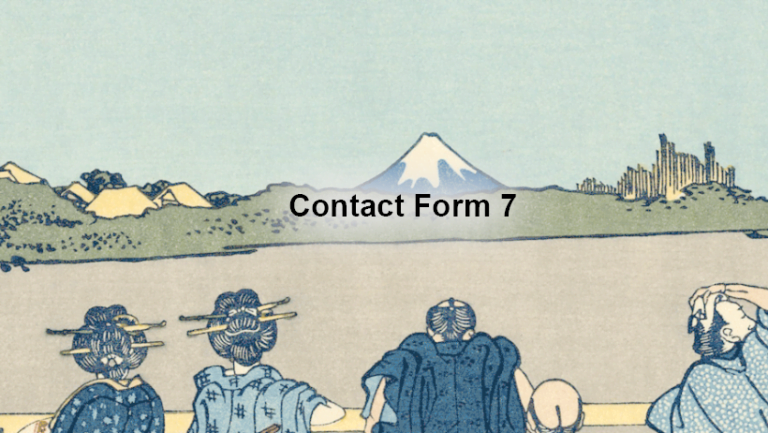 Create contacts and start automation with contact Form 7! We believe in the power of helping as many as we can without having to break the bank. 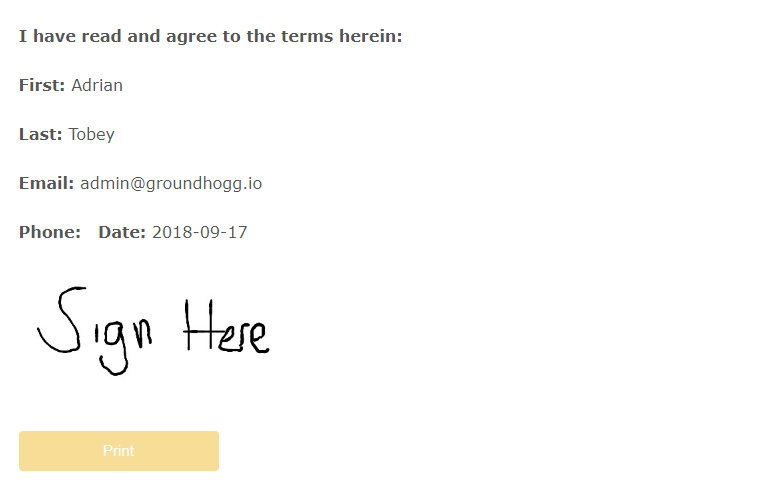 For that reason Groundhogg will always remain free, but you can donate to the cause or purchase an extension to enhance Groundhogg. We encourage those who need technical assistance to get in touch with our support team as soon as possible. Response times are generally within the hour. To access support please login and visit the support page. If for any reason support is unavailable or your request has not been answered, you are welcome to join our Facebook group and request help from the community. Copyright © 2019 Groundhogg™ | Groundhogg™ is a registered trademark of Groundhogg inc.